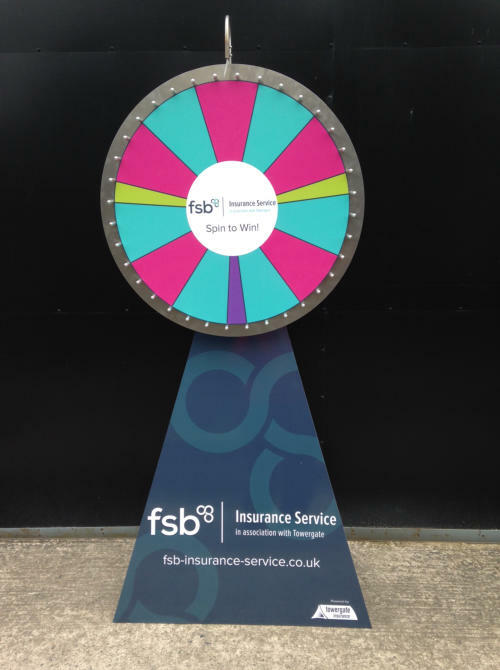 Branded Prize Wheels, our Wheel of Fortune range features easily interchangeable full colour, laminated branding to your design (we supply the template, you supply the (pdf) artwork. Attractive, compact and entertaining, perfect for exhibition stands and booths, they quickly break down into easy to transport components making them the ideal choice for promotional events and roadshows. 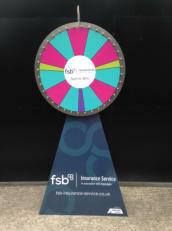 Our floor standing Prize Wheels stand between 1800mm and 2000mm high (easily adjustable) and a 900mm wheel face into which an interchangeable 800mm diameter branded centre panel is inserted. Our brand new table top Prize Wheels are manufactured in the UK to the same high standards as their big brothers with an easy height adjustment from 500mm to 600mm high and a 450mm wheel face into which a 410mm diameter branded panel is inserted. 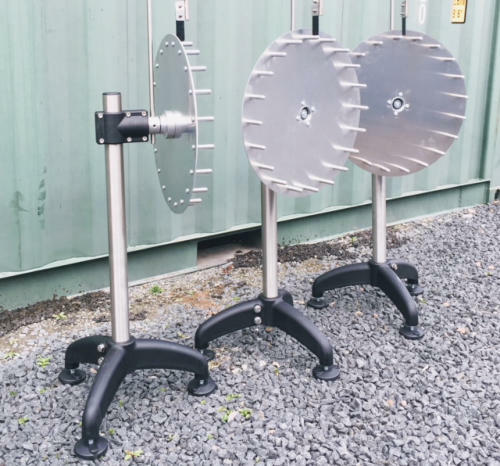 Manufactured from stainless steel, aluminium and industrial grade nylon our Wheel of Fortune range is designed and engineered to last and to withstand the rigours of life on the road. Available with a range of outdoor use options as well. CNC milled bearing mounts and wheel pins, laser cut, stainless steel faces and mounting tubes, with high resolution printed branding they do not just play really well, they look the part as well. 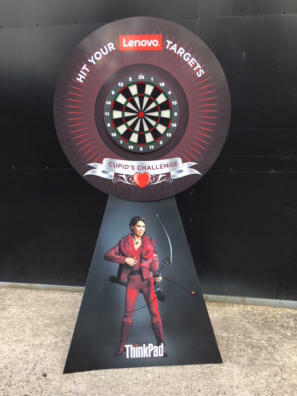 Dartboard Stand Our latest development - a safe to play exhibition stand darts game using the same modular components as our floor standing wheel of fortune, safe, soft tip darts and great branding for an outstanding appearance, you can order this as a standalone unit or as an add on to one of our Prize Wheels - if you already have one of our Prize Wheels - yes it will fit. 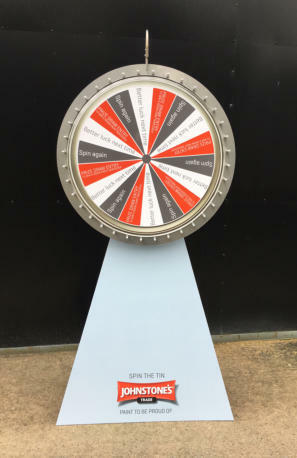 Atue offer a range of branded Wheel of Fortune products for sale or for hire. 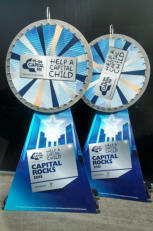 Floor standing or Table Top Prize Wheels manufactured in the UK to the very highest standards. Built to last with fully interchangeable branding that can be removed, stored and re-used at a later date.